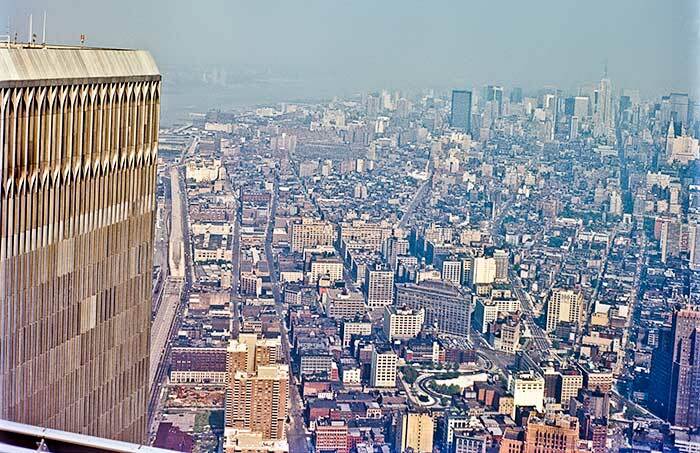 I was on the rooftop in 1977 of the Twin Towers. In the corner you can see the railing. In the distance is the Empire State Building.